Fission Uranium Corp (CVE:FCU) shares on Thursday gave up some of its gains since announcing another set of off-scale drill results near its already giant uranium discovery in the Athabasca Basin, but the investor darling can still boast a near 10% gain for the week and 50% rise this year. 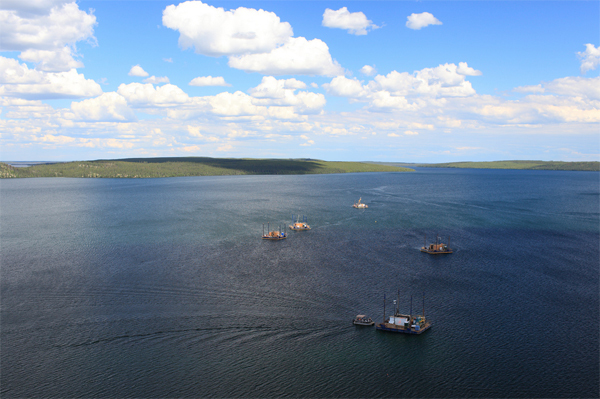 Even before this week's zone 555m west of the 105.5 million pound Triple R deposit, Fission's Patterson Lake South property in Saskatchewan was ranked among the top four Athabasca basin deposits along with the high-grade unconformity giants McArthur River, Cigar Lake and Phoenix. 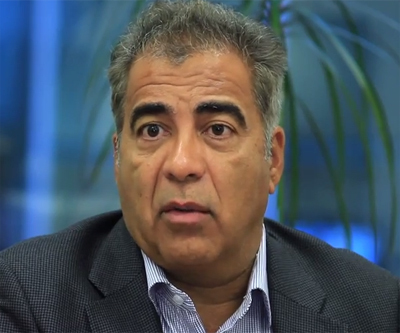 The Kelowna, BC-based explorer's chief executive Dev Randhawa told MINING.com in an interview at the Prospectors and Developers Association of Canada (PDAC), the new find could be a "game-changer". And those aren't even choice of words of a CEO talking his book, they come from respected analysts who place Triple R and the new zone firmly among the uranium's world elite and sees the potential of a 150 million pound deposit. "We are now talking about a monster with two heads. It has almost exactly the same mineralization as Triple R on the same trend. Whether it's part of the same zone or a new discovery, we can't tell yet, but either way it's blue sky for us," says Randhawa. What makes the new find especially significant and further improves PLS economics is that it's land-based, shallow (PLS mineralization occur as little as 50m below surface) and in basement rock. It should be possible to mine using traditional methods in contrast to the likes of Cigar Lake where the porous rock, muddy nature of deposits require freezing which adds to costs and complexity. Fission is spending $15 million to $18 million this year on drilling, which thanks to the new land-based zone can now be done almost year-round. Randhawa is looking to sell a sizeable minority stake – just under 10% – to advance the project and says he has three sets of participants talking to him. "We're very price sensitive. My job for shareholders is to create deal tension. One interested party is a bid, two is an auction. We've got bankers, private equity players and miners all sitting around the table," says Randhawa. China has 22 reactors in operation and another 26 under construction, making a Chinese investment an obvious choice, but such a deal would be complicated by regulations preventing a Chinese firm from owning a majority stake in a Canadian uranium mine. Asked about the likelihood of private equity jumping in Randhawa answers in typical fashion: "I smell a flip. If you have someone who believes in uranium prospects – and many do – you'd grab this chance." Randhawa says uranium takeouts usually happen around $9 – $13 a pound, which could place Fission in the $1.5 billion-plus range versus its current market capitalization of $476 million on the Toronto Stock Exchange. While it's likely that Fission will one day fall prey to a big name like Cameco and Areva – with or without Chinese partners – there's still lots to fill in on the PLS story. The last significant uranium deal in Canada was Rio Tinto's acquisition of Hathor in 2011 after outbidding Cameco for the Roughrider deposit. Rio paid $654 million for the 55 million pound property.